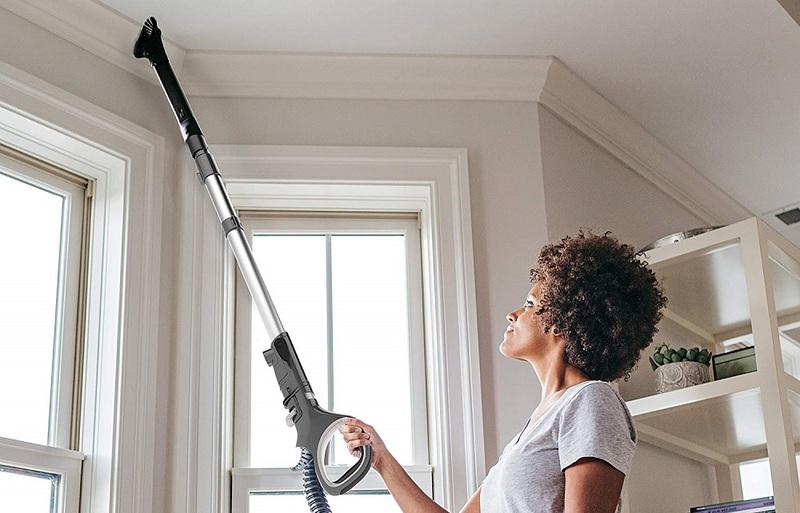 Concluding our series on the new Shark vacuum line up, I’m very excited to be reviewing the new Shark Lift Away Speed NV771 with DuoClean. It’s the cheapest DuoClean upright I’ve seen from Shark. And after all our tests, we found it to be a really good value. 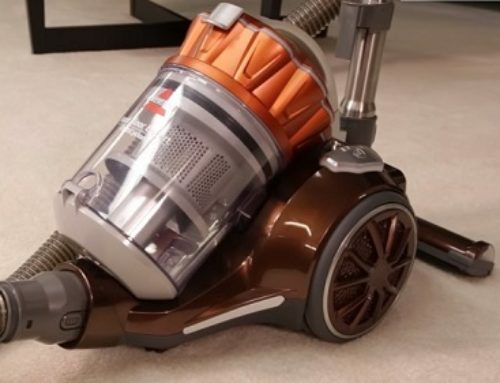 So the NV771 is a Speed, which is a term that Shark uses that means it’s a lightweight vacuum and its brush path width is slightly smaller, meaning it can get into places that bigger floor nozzles can’t. I’ve preferred Shark Speed series over the larger vacuums for a while since I value lightweight vacuums and precise maneuverability. So as I mentioned, this is the cheapest upright with DuoClean that I’ve seen. The previous cheapest was the NV200 series which I reviewed and could not recommend because it was made of cheap materials and wasn’t even all that inexpensive for what you got. But with the NV771, it has a really high build quality. In fact, it looks like it was based on the old rotator lift away series but with DuoClean. So I’m sure my subscribers are getting pretty tired of me extolling the virtues of DuoClean technology, but let’s go through it one more time. So DuoClean floor nozzles have a soft roller up front which makes it literally unparalleled for hard floor performance, picking up everything it touches from pet hair to extra-large debris. It’s ironically also amazing for superfine debris, basically dusting the floors as it picks stuff up. 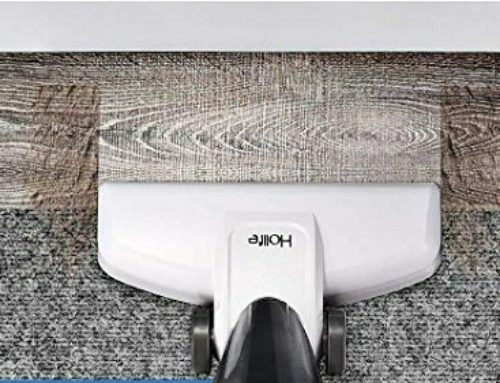 But the standard brush roll behind the soft roller is there to agitate the carpet as well and so DuoClean vacuums have the same great performance on carpet with pet hair and debris of all sizes. But it can also deep clean carpets pretty good. On the NV771, you just flip a switch on the housing to change from hard floors to carpets which changes the speed of the brush roll so transitions are pretty easy. All that to say that DuoClean vacuums are by far our favorite type of vacuum and they are what we use in our cleaning business. The wand is one of the easiest to remove and use in the business and it also has the lift away feature meaning you can detach the canister for a super lightweight way to use the attachments. Keep in mind this is not a powered lift away meaning you cannot attach the wand directly to the floor head like you can with the more high-end Shark powered lift aways. This limitation is, as far as I can tell, the main thing you sacrifice by getting the less expensive NV771 as opposed to the powered lift-away speed NV800 series. That being said, the main reason I use the powered lift away feature, like with my APEX, is because it reduces the weight. But with the NV771 Speed, it only weighs 13 pounds anyway which is ultra-light. So it really isn’t even necessary. Like most Shark uprights, the Lift Away Speed is a sealed system with HEPA filtration, as we saw in our 5 micron fog test, which is pretty rare for a vacuum in this price range. 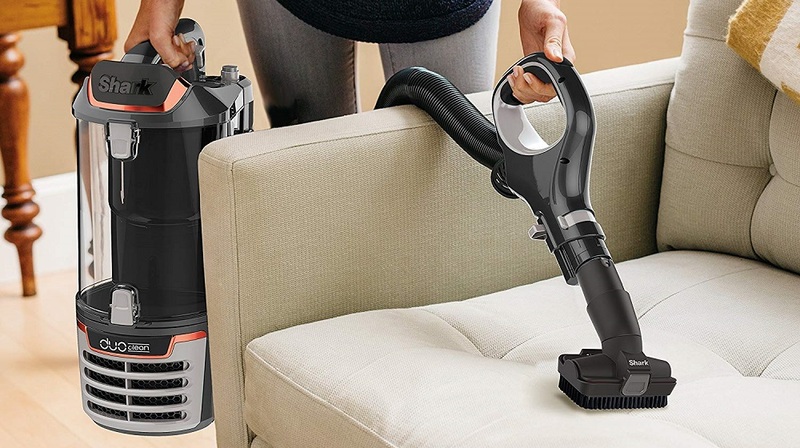 We measured its suction at about 77 inches and its airflow at 74 CFM at the hose and 58 CFM at the cleaner head, which is amazing for a vacuum in this price range. 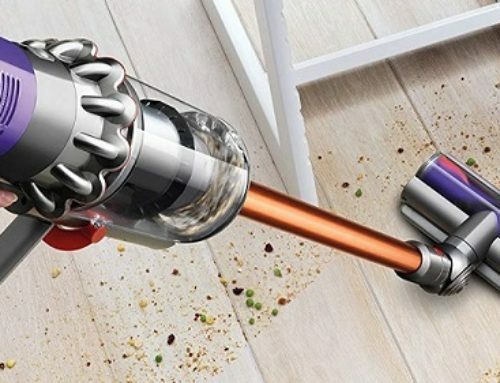 For context, compare that to the Dyson Ball Animal 2 or the Miele U1 which are far more expensive vacuums. The NV771 also has an amazing seal on the floor nozzle as seen by picking up all the debris in one half of one pass, which is an extremely rare feat. Like most Sharks, the dustbin has an open layout, which is easy to keep clean to preserve its power over a long period of time. It’s easy to empty and bigger than other Speeds we’ve seen. As far as the attachments, it comes with a crevice tool/ dusting brush and an upholstery tool/ dusting brush. The only real cons are that I wish the hose was on a swivel at the base to keep it from twisting, but since it picks up just about everything it touches anyway, I don’t actually use it that much. I also wish it came with a few more attachments but I assume this is one way that they’re keeping the cost down with this model so I can live with that. So we think this is the first budget DuoClean upright from Shark that we can fully endorse. I love the DuoClean technology and the sealed system. It has a lot of power and it’s got a much better build quality than the previous budget versions.